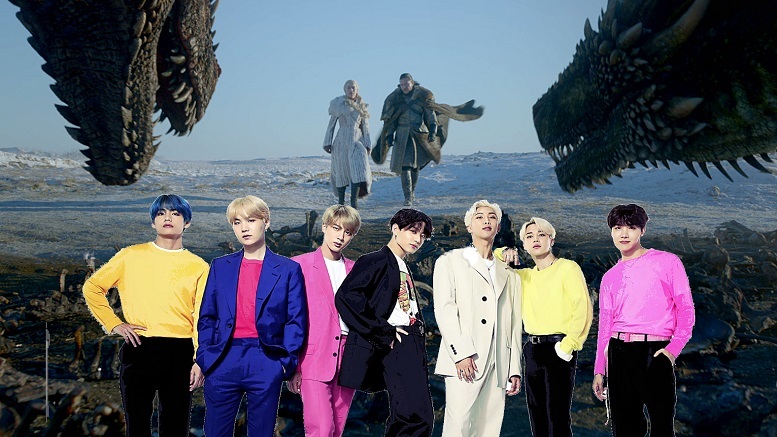 As its eight season gets underway, fans of Games Of Thrones are accusing the show of ‘jumping the shark’ after a band of traveling troubadours from Yi Ti were introduced who were obviously the K-Pop sensation BTS. Though the appearance of BTS is being commended for correcting the absence of Asian characters on the show, viewers complained that the way they broke into perfectly executed dance routines was distracting. Fans also thought the singers’ origin story was thinly sketched. Be the first to comment on "Game Of Thrones Jumps Shark With Introduction Of Boy Band From Yi Ti"